After a dozen years of foot-dragging, regulators are doing something about the toxins. This story was produced by the Food & Environment Reporting Network, an independent nonprofit news organization. More than a year ago, public health officials warned that Latino children in California were nearly twice as likely as white kids to attend schools close to heavy pesticide applications. As I reported in April, in a FERN-produced story that ran online in The Nation, Latino parents in some communities knew all too well that their children were exposed to pesticides. Regulators knew it, too, yet in a complaint that dragged on for a dozen years, they did little to remedy the situation. This week, however, state pesticide regulators finally said they will seek to strengthen restrictions on pesticide use near schools. Starting May 28 in Sacramento, the California Department of Pesticide Regulation (DPR) will hold five workshops, getting public input on new standards to improve school pesticide notification procedures and reduce the risk of exposure. There will be four other meetings in key farming communities, including Ventura County, which has more schools with high concentrations of nearby pesticide use than any other county in the state. This is a potentially dramatic development, since the issue of pesticide exposure near schools has long been contentious. More than 12 years ago, six families filed a complaint urging the EPA to enforce Title VI of the Civil Rights Act, which prohibits recipients of federal funds from engaging in discriminatory practices. The EPA funds the California DPR, which sanctioned heavy use of methyl bromide and other toxic fumigants near predominantly Latino schools. The policy selectively exposed Latino kids to chemicals linked to cancer, birth defects, neurodevelopmental disorders and other serious health problems, the families argued. Then EPA entered into an agreement with state pesticide regulators that did nothing to reduce pesticide levels near schools. Growers subsequently used even more pesticides than they had before, applying nearly half a million pounds of methyl bromide’s replacements around a single school in Oxnard, my reporting uncovered. Existing rules for pesticide use near schools are set by county agricultural commissioners and vary considerably. Regulators say the workshops will help them create uniform statewide standards. The DPR workshops follow a briefing on pesticide use near schools for legislative staff in Sacramento last month, hosted by the advocacy group Pesticide Action Network North America. Just a few county commissioners showed up. I was invited to lead off the briefing by sharing the principal findings of my story, in which I reviewed six years of data for 66 pesticides identified by health officials as most likely to drift and cause harm. With the generous help of experts at Jonathan London’s UC Davis Center for Regional Change, who mapped the pesticide data to ZIP codes, I found a disturbing trend: use of many of the chemicals had fallen statewide since 2007, but had risen dramatically in a handful of communities already coping with high pesticide use. By 2012, nearly 30 million pounds of these dangerous chemicals – more than half the statewide total – were applied in just 5 percent of California’s 1,769 census ZIP codes, where most residents are Latino. The increase was driven by fumigants on expanded strawberry plantings. The hardest hit community was a strawberry-growing stronghold in the Ventura County town of Oxnard, where 72 percent of residents are Latino. Last year, the senator tried to build on her previous success by requiring stronger restrictions on pesticide use near schools and other sensitive sites. Agricultural interests responded with a powerful lobbying effort, and the bill died in the Senate Agriculture Committee the day before the health department’s pesticides-and-schools report came out. Hopefully, my story helped inform the debate on the value of such restrictions, based on a thorough data analysis of who faces disproportionate risk. But there is more work to be done. In March, Californians for Pesticide Reform reported, the fumigant chloropicrin had been detected at levels representing a “significantly increased cancer risk” in a Watsonville man’s backyard, where his children play. 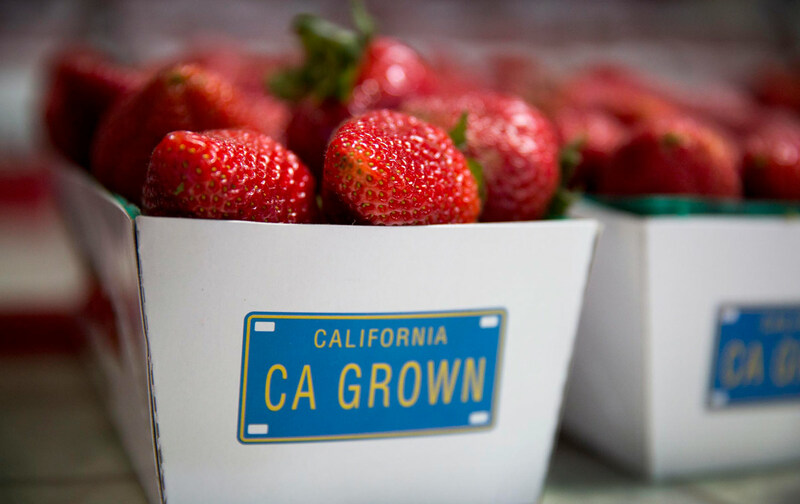 Watsonville, in California’s central coast, is a strawberry-growing region like Oxnard. Just a few months earlier, pesticide regulators had issued new rules requiring larger buffer zones for chloropicrin. But even the stricter rules wouldn’t have protected the Watsonville family, the report noted: they lived hundreds of feet beyond the new buffer zone and still had unsafe levels of the toxic chemical around their home. The pesticide department’s workshops to reduce children’s risk of exposure to pesticides near schools is an important first step. But it won’t protect children’s health when they come home from school only to face the very same risks. Liza GrossLiza Gross is an independent journalist who writes frequently about the intersection between science and society, specializing in environmental and public health.